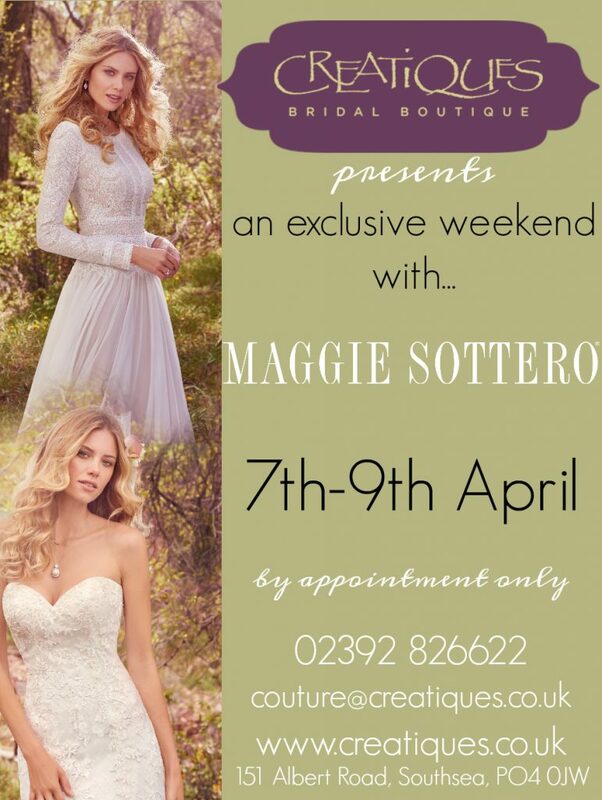 23 Feb Maggie Sottero EXCLUSIVE! We are beyond excited to announce that from 7th-9th April, we will be hosting an exclusive Maggie Sottero preview weekend, where will have over 40 new dresses to complete our collection in store. The weekend is appointment only, and is not to be missed! Book your exclusive one to one appointment now by contacting the team!